If you follow along on Instagram you have probably seen a couple of stories about my Invisalign experience. Today I wanted to delve a bit deeper to let you know why I started, how it's going, and some tips if you're thinking of using it too. First off, I decided to use Invisalign because my top teeth were quite crowded, and to be honest it looked like I had bunny rabbit front teeth. Yes yes, many friends told me, "but you're teeth are straight", but the front two teeth just always bugged me. Also, I have a great benefits plan through work which is paying for half of this orthodontic treatment (woo hoo!). 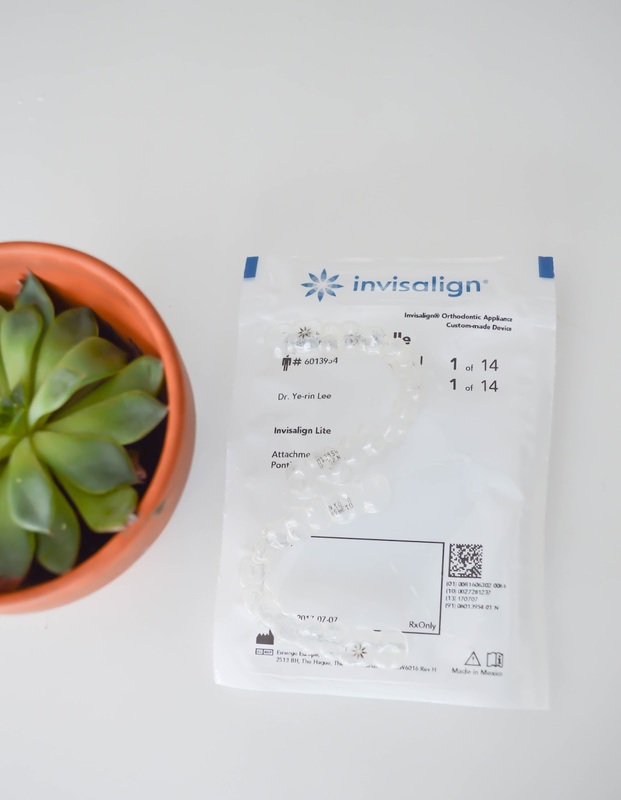 To get started using Invisalign was a bit of a process, I researched which dentists in my area offered the treatment, and then asked some friends for some good recommendations. The dentist that I see is within walking distance from the school I work at which has worked out amazing! The Invisalign start up was the worst part, first off, I had to get any cavities fixed (that was the easier part), and then I had to have pictures taken of my mouth. This part for me was the most uncomfortable part of my Invisalign process. The dentist has to insert a tool that opens your mouth (to me it looked like a tool your gynecologist might use). Since my mouth is small to begin with, having to sit there which the dentist did the pictures was not fun. After about three weeks, my trays arrived and I got started! Everyone's Invisalign plan will be different, I have 14 different trays. Each week I am to put a new set on my teeth, some trays need more time to become looser in my mouth so it might be 10-12 days before I switch to a new one. Right now I am on tray number 8. So how's it going? I think really well, my teeth have definitely moved. I notice the bottom ones have become straighter, and my bite feels a bit different. The top ones are taking longer to move but they also needed more work. 1. Once you start your first set of trays, no more manicures. You will need your fingers to be free from polish to remove and insert the trays as needed. The trays are quite tight, and might give you a headache for the first day or two. 2. You will carefully need to plan your food intake for the day. Invisalign recommends wearing the trays for 22 hours a day. This doesn't leave a lot of time for eating in the day. This is presently the joke with my partner at work because I used to always be the first one to eat anything and everything, and now, I have to say, "no, my teeth are on". I found a lost a few pounds when I first started using Invisalign, but now things have regulated again. 3. You will have to carry a toothbrush with you if you plan to eat out. I brush my teeth after each eating session I have through the day. I try to also floss after each meal, but to be honest I find I floss only twice a day. It's quite a bit of work, so you'll have to be prepared. 4. 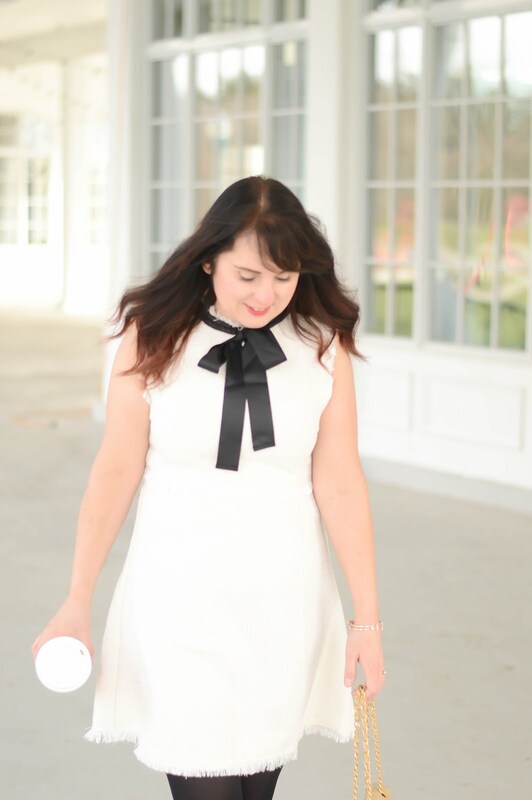 Carry your Invisalign case with you everywhere! I was out with my blogger friend Amanda for dinner a month ago, and I didn't have my case so I wrapped my trays with a paper towel and the waitress threw it out when she took the plates without me noticing. This meant I had to put a new tray on a few days earlier than expected. I am definitely MUCH more careful now. 5. You can only drink water wearing Invisalign, this is great for me since it's pretty much all I drink. If you're someone who likes soda, or juices than you will have to take your Invisalign trays out, drink, then brush your teeth before inserting Invisalign. The trays trap food and sugar on your teeth so it's very important to keep them and your teeth clean. 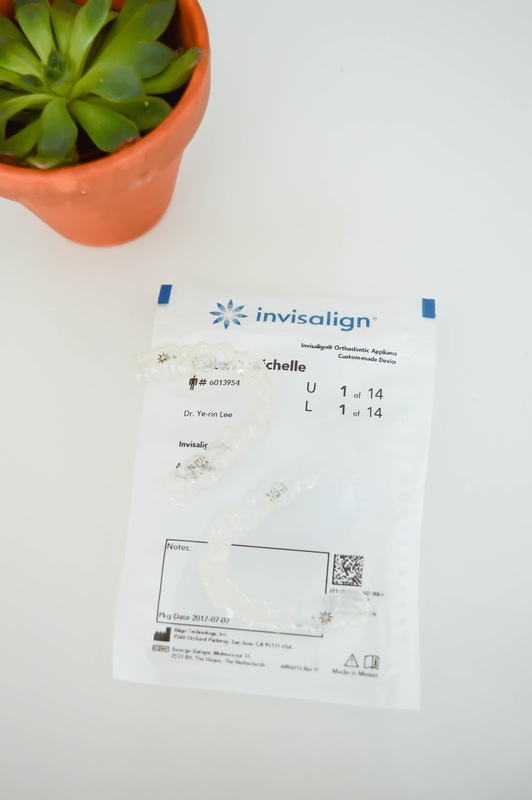 Is Invisalign in your near future? Let me know and I'll be sure to update you as soon as there is more progress.